Blackstar have cemented themselves in recent years as a force to be reckoned with in the guitar amp world. 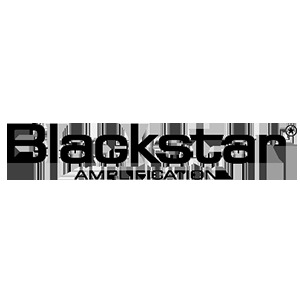 Since the companies creation back in 2007 in Northampton UK, Blackstar have gone on to design and develop a large range of amplifiers including the highly popular 'Artist' models, top-end 'Artisan' series and their superb 'Fly 3' bass practise amps. If you have any inquiries regarding Blackstar products, please don't hesitate in contacting one of our in-store specialists by calling 01273 665 400. The Blackstar FLY 3 is THE compact mini amp for your bass! Or an amazing hi-fi for you phone or tablet.\n\nItÆs the perfect take-anywhere amp. Blackstar FS-10 Footswitch for use with ID Series amps. Footswitch for use with the new Blackstar HT Venue MKII series of tube amplifiers. B-Stock, ﻿Wooden panel from back of combo is shifted out of position, otherwise good condition, non original box. The Blackstar Fly Bluetooth follows the incredible success of the Blackstar FLY 3 Mini Amp and includes Bluetooth connectivity for music playback. 50 watt, 1x12, 16 ohm, semi-open/closed speaker cabinet with new Boutique styling. 160 watt, 2x12, 4 and 16 ohm, semi-open/closed speaker cabinet with new Boutique styling. Equipped with 2 channels and 4 foot-switchable voices. The ideal gigging valve amp for club sized venues. (B-Stock) Grade original Packaging opened worned, amp in grade A condition. Equipped with 2 channels and 4 foot-switchable voices. The ideal gigging valve head for club sized venues. (B-Stock) Box opened, packaging worn, Amp in immaculate cobndition. (B-Stock) Box opened original packaging slightly worn, amp in very good condition. Designed to handle electro-acoustic instruments and even bass guitar. This makes it the ideal practice amp for multi-instrumentalists.